Ron Burzese, a blind stoker who is on our Board of Directors, spoke on a cycling radio program called The Outspoken Cyclist last weekend, sharing what it is like to be a blind cyclist. 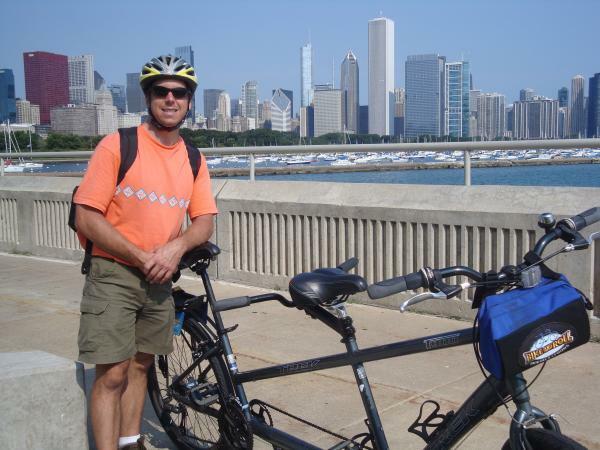 To listen , visit this link, WJCU The Outspoken Cyclist, and go to the podcast on 10/29/11. Ron starts speaking about 5:00 minutes into the program Ron cycling in Chicago.